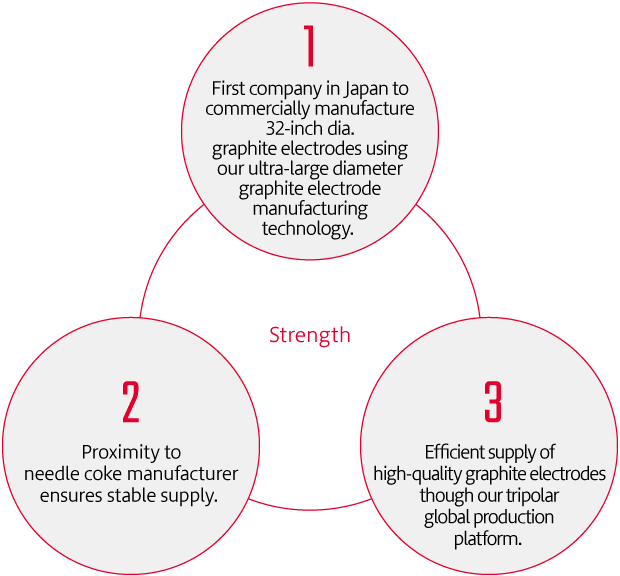 Quick Look Graphite Electrode Business | Tokai Carbon Co., Ltd.
Needle coke Needle-like crystals develop. Pitch Produced by heat treatment of coal tar. Carbonizes under heat (50% yield). Needle coke and pitch are mixed and then molded. Heat treatment is then applied in the baking and graphitization process to form the finished product. Reach customers worldwide with tripolar structure in Asia, Europe and North America. Sales and technical service network covering all of Europe and the Americas.